WILMINGTON — A woman who vandalized homes and vehicles with spray paint pled guilty to criminal damaging in Clinton County Municipal Court on Tuesday. 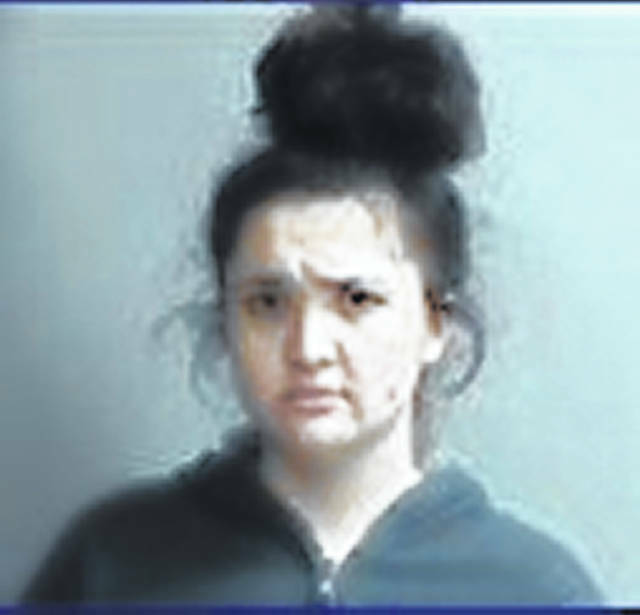 Brook Britain, 19, of New Vienna, was sentenced by Judge Mike Daugherty on a 2nd-degree misdemeanor to 89 days in jail, and she must pay pay $750 in fines and $125 in court costs. Britain must also pay a total of $590 in restitution to the victims — including $500 to one victim. An ethnic intimidation charge was dismissed. Britain was charged Feb. 26 for causing extensive damage “from siding and pillars on homes, to entire sides of vehicles ‘with explicit language and hate speech’” Wilmington police stated, adding they identified 13 victims in the Feb. 14 incident. Britain was already incarcerated in the Clinton County Jail beginning Feb. 15 for unrelated incidents pertaining to her current probation with the court. • On Jan. 31, 2019, Britain was found guilty of theft, according to court records. She was sentenced to 180 days in jail, fined $100, assessed $125 court costs. Jail time was suspended upon successful completion of treatment with Talbert House and the Nest. She was also ordered to pay $329.32 in restitution to Wal-Mart, and to complete supervised probation. • In July 2018, Britain, then 18, was found guilty of O.V.I. and assault, according to court records. She was sentenced to 210 days in jail (which was suspended); her operator’s license was suspended from July 24, 2018 to July 23, 2019; she was fined $1,075; and she was assessed $250 court costs. Britain was directed to: take part in supervised probation; get a professional assessment; complete a three-day residential driver intervention program; not consume alcohol/drugs of abuse while on probation; and write a letter of apology to the assault victim and have no contact with them.